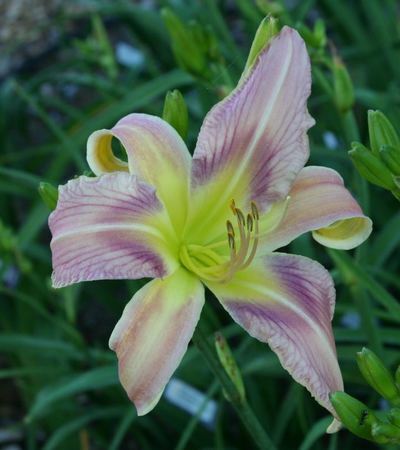 The lightly ruffled petals are a medium pink with the sepals a much lighter pink making this a remarkable bitone. The red magenta band is attempting a pattern due to ‘Whammer Jammer’ as one of the parents. The color of the band lends itself to the veining on the petals. 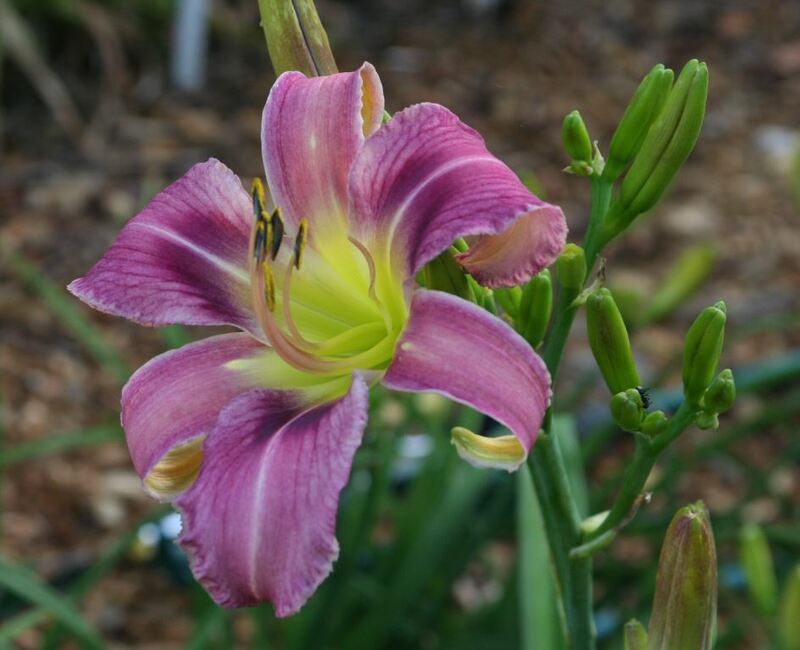 There is an off white half midrib running along the petals from the very large green throat adding to the allure of this daylily. There is 4 way branching with a 13+ bud count. Pollen is fertile.